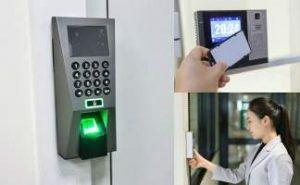 Facial Recognition Door Access solutions are widely used by customers in pro-security companies and residential end users in Singapore for a secure bio authentication of their access control and Biometric attendance system & time tracking workflow. Similar to the Fingerprint Door Access System, Such Biometric Door Access System is compatible with use and support with any intelligent security management solutions that we offer at our Singapore office in T3 Security Integration. 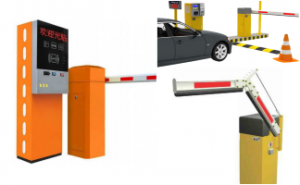 The Facial recognition Door Access system can easily work with the major 3rd party Access control system, such as door access, half/full height turnstile for tightening security access control. 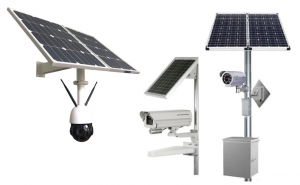 Having such face recognition system which complements well with Security Camera system product in deployed helps to safeguard the safety of gated communities, such Educational Institutions, Company Business Workplaces, Hostels, Residential home areas, and Hotels etc..
From the Human resource administration angle, undesirable acts of Time fraud by staff, such as ‘buddy-punching’ can be effectively avoided. A commitment to Employee time punctuality by man & women in the company can also be fostered as using such Facial recognition Door Access system cannot be cheated easily with false credentials. 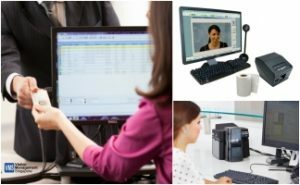 The Facial recognition Time Attendance Solution can be easily interfaced with your pre-existing HRMS system for simplifying your business’s payroll workflow. The Face recognition device will systematically read and log down the time clock in for each employee. 4. Overtime hours worked These data are then used by Payroll System to calculate the correct monthly or hourly pay for each person. 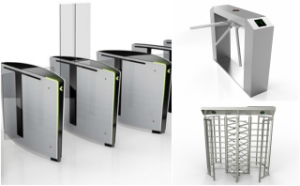 Our integrated biometric door access solution is extremely rugged and features a structurally sturdy stainless steel enclosure which is resistant to Shock impact and sabotage attempts using sharp pin tools. 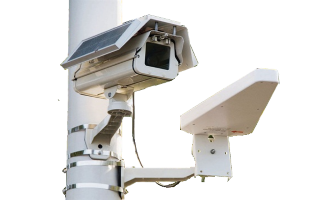 The scoreboard is equipped with 800 MHz Ultra-high speed Multi-core video processor and high-resolution HD infra-red IR view optical sensor that enables reliable user identification even in the poorly lit conditions which are visually extremely challenging. This helps to provide users an unhindered user experience. 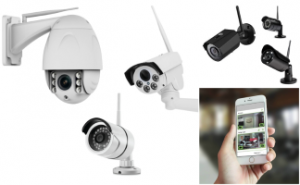 What is Face Recognition Authentication? 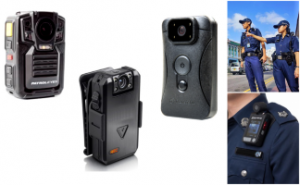 Similar to our Biometric finger vein or Palm print readers, this Facial image recognition based Access system device uses the latest advances in intelligent face recognition camera algorithm to optically scan, capture and lock in each reference marker nodes on a person’s face and save in the system web server database during each initial registration of a new personnel. 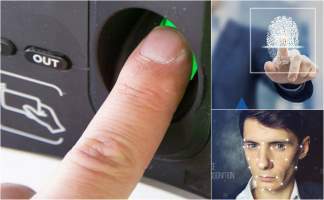 This Biometric Facial credential is to be used for later search and cross-referencing during the verification of each subsequent entry access request by any men or women at the building entrance. 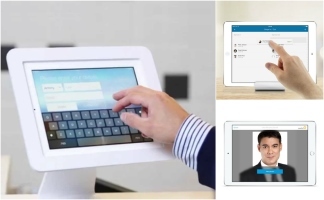 Such smart biometric Face recognition authentication helps to manage and make sure that Only authorized person who has previously been registered into the Access system can optically scan in face recognition reader of the Access control machine. Explore what Face Recognition Door Access System can do for your company today by calling us at 6100 8374 to schedule a no obligation discussion of your needs. 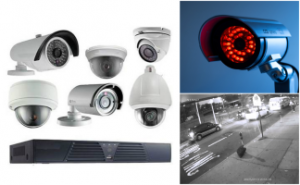 Our knowledgeable and friendly consultants will be happy to assist you and share to you in details the benefits & features of implementing a Face Recognition Door Access System.